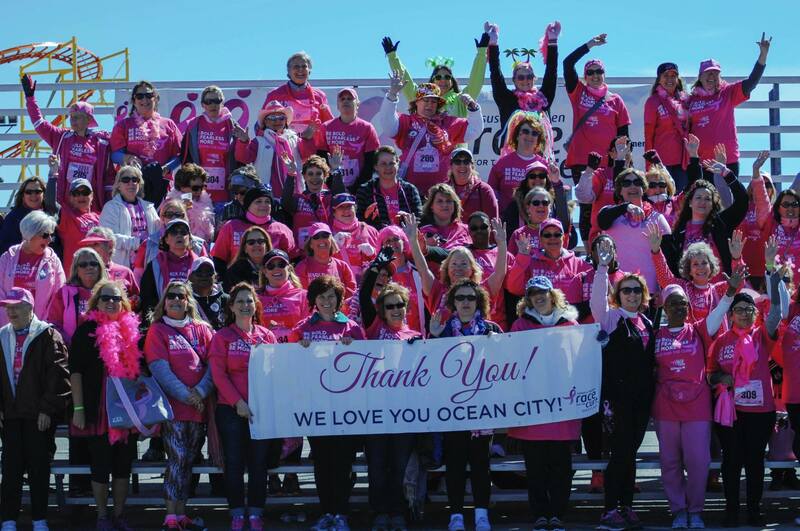 OCEAN CITY, MD – Susan G. Komen® Maryland has announced that the 7th Annual Ocean City Race for the Cure will be held on April 14, 2018 on Ocean City’s iconic boardwalk beginning at the inlet. Registration and fundraising for the event is now open. Since its inception in 2012, Race for the Cure is the largest charitable 5k for breast cancer at the OC beach. Data shows that Maryland’s Eastern Shore has steep inequities in breast cancer incidence and mortality rates, especially among minority populations. Through fundraising events like the Race, Komen Maryland is working to close the gap in these disparities and has invested nearly $5 million into Eastern Shore programs that provide access to screening, treatment, and support for those who have been impacted by the disease. Komen Maryland has a long history of supporting breast health programs that serve Eastern Shore residents, and currently provides funding to the Wicomico County Health Department, Maintaining Active Citizens, and Moveable Feast. Race for the Cure is a 5k recreational run/walk. The Race Village will open at 7:30am for registration, packet pick-up and a pre-Race warm-up. The Race begins at 9 am at the for both runners and walkers. The course goes up the Boardwalk to 18th Street, turns around and continues back to the inlet. After the Race, there will be a beer garden, and a Survivor Parade and dance party. To register, donate, volunteer or for more information about the Ocean City Race for the Cure , please visit www.komenmd.org/oceancity.